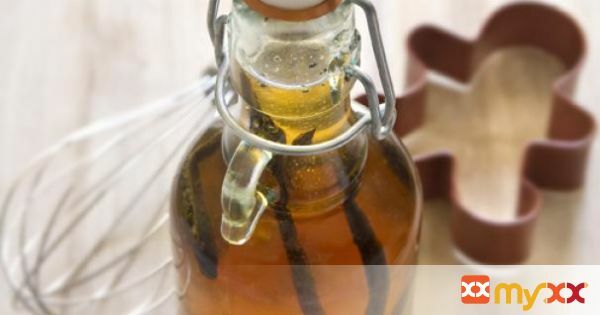 How to make your own vanilla extract. It's cheap, easy and makes a great Christmas gift for the bakers in your life! 1. Slice vanilla beans length wise. Place in a sealable jar. 2. Pour vodka into the jar, seal and shake. 3. Place jar in a cool dark place and shake once every few days for about a month. The longer you let it sit, the better the vanilla extract will be.